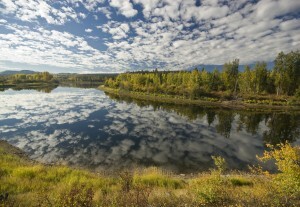 The second largest of BC’s regions, the Nechako, is made up of lovely rolling hills and charming plateaus surrounded in two directions by magnificent mountains that stretch all the way to Alaska. 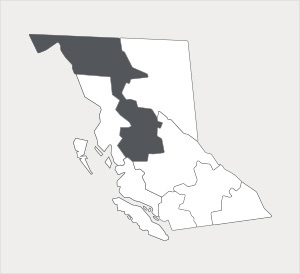 The valleys below provide fertile soil and plentiful land to nearly 11% of the Province’s beef and dairy herds. With over 880 farms, most of which are mostly cattle farms, Nechako produces the Province’s second highest amount of grains*. Flourishing grains such as hay and grain cereal are also accompanied by alfalfa, potatoes, fruits, berries, and nuts farms. Nechako farmers benefit from the region’s cozy four-season climate, moderate rainfall, cool winters, and long warm summers. While the population and food processing industry are both small, the region produces nearly all of its own dairy and poultry**. The name Nechako, is actually an indigenous Dakelh language word for “big river”***. And that makes sense given the Nechako River travels over 500 kilometres long going north before feeding in the equally mighty Fraser River. *Source: Agriculture in the Classroom, Canada. “A Guide to BC Agriculture Resources”. Pg. 5. **Source: BC Ministry of Agriculture’s 2011 Year in Review. Pg. 6.